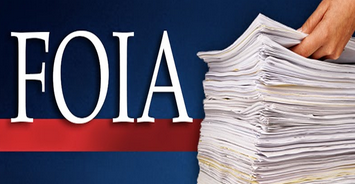 · How to get notices of government meetings in Virginia!!! 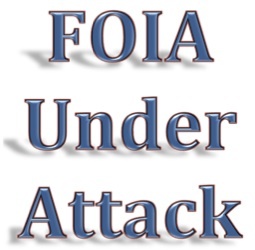 This message is to provide notice of the upcoming meetings of the FOIA Council, the Proprietary Records and Trade Secrets Subcommittee, and the work group of the Subcommittee for 2017. The Proprietary Records and Trade Secrets Subcommittee will hold its second meeting of 2017 at 1:30 PM on Monday, May 1 in House Room 2 of the Capitol Building, Richmond, Virginia. The Subcommittee consists of Council members King-Casey, Porto, Seltzer and Vucci. More information about subcommittee work for 2017, including the 2017 Study Plan, is available at http://foiacouncil.dls. virginia.gov/subcom_mtgs/2017/ subcom17.htm. The Subcommittee asked that interested parties meet with staff to consider another version of the proposed general exemption for trade secrets. That meeting will be held at 1:30 PM on Tuesday, April 25, 2017 in the House Redistricting Room, 2nd Floor, General Assembly Building, 201 N. 9th Street, Richmond, Virginia 23219. All interested parties are welcome to attend and participate. If you have any questions or need additional information, please do not hesitate to contact us. Tell your representatives in Congress to End Daylight Savings Time!! on the American people !!! DST; you want them to end DST. Tell your representatives in both the U.S. House and Senate you want them to end DST. Fill out this form and forward it to your representatives. Mouse over the form above, click on it to download the form. Print it, and fill it in. Send it to your representatives by fax, email-scan, or first class mail. Daylight Saving Time [DST] is the greatest continuing fraud ever perpetrated on the American people. And this past weekend, the effect of this cruel monster reared its ugly head again. Tell you representatives in Congress [Senate and House] you want to stop this insane practice. Let the representative know you want a change made to this outdated irrational Law. On Sunday morning, Americans across the country were forced to set their clocks back one hour, and this week, the sun will begin its ambling lurch to set at 4:30 in the afternoon. Technically-speaking, this sleep cycle-wrecking practice of setting our clocks back occurs so we can return to Standard Time after our flirty summer with DST. And the unsettling shift back to these hours, and the hour "we gain," is the back-end of the time-bargain we pay for setting our clocks forward in March to "maximize daylight"—a phrase probably better suited to organisms that rely on photosynthesis—during the spring and summer hours. Why we try and "maximize daylight" like we're plants is actually an archaic practice first thought up in the late 1700s and often attributed to Benjamin Franklin. As some elementary school teacher may have explained to you, this was a practice to accommodate agricultural workers and farmers (wrong, and we'll get to this in a minute) or to lower the nation's electricity usage. A large push for DST has always been the idea that this time warp saved money and helped conserve energy. In the 1970s the energy crisis helped further this notion along. This is all a myth—the energy-savings are tiny. First off, did you notice any change in your energy bills between 2006-2008? I know that recalling electricity bills is asking a lot, but the reason I ask is that we actually extended DST by a month in 2007. The thought was that a month of DST would bring more savings. That was wrong. The great energy-sucking state of California actually studied the impact of that extension and found it wanting. "Formally, weather- and lighting-corrected savings from DST were estimated at 0.18%," the California Energy Commission reported. In their 2008 National Bureau of Economic Research study, the team found that lighting demand dropped, but the warmer hour of extra daylight tacked onto each evening led to more air-conditioning use, which canceled out the gains from reduced lighting and then some: Hoosiers paid higher electric bills than before DST, the study showed. Seasonal affective disorder [SAD], is when people get bummed out when the seasons shift. Sunlight plays a role into that, and you'd think that DST would be something everyone would be looking forward to. Wrong. In order to get more daylight during the day, DST short-changes the early-morning sun hours. Those hours are important for those affected by SAD. And it's also very important for your sleep patterns. "Daylight savings time is anti-physiologic, and it’s a little deleterious, at least for several days," Dr. Nicholas Rummo, director of the Center for Sleep Medicine at Northern Westchester Hospital told Health.com, adding that "light earlier in the day is more helpful for them." Research has also shown that DST, and shifts and the rupturing of sleep patterns is also linked to myocardial infractions (a.k.a. heart-attacks), car accidents, and medical equipment malfunctions. American exceptionalism is a phrase we've heard a lot recently, and it's usually prefixed by words like "dwindling" or "losing faith in...". If we want to continue this path, then we might as well have DST and shifting time patterns every few months. The weird shift in time messes with our sleep patterns and our bodies, and our work. Light doesn't do the same things to the body in the morning and the evening. More light in the morning would advance the body clock, and that would be good. But more light in the evening would even further delay the body clock. Think about what you could do with $147 million. That's how much the Air Transport Association estimated the 2007, one-month shift cost the airline industry because time schedules with the world (a lot of which does not believe in DST) were messed up. Oh right, we almost forgot about farmers. I remember my second grade teacher told skinny, frail, 7-year-old me, "We do this [time shift] for the farmers." I didn't know any farmers, but I remember feeling noble and helpful. I did not know I was being lied to. "That's the complete inverse of what's true," Tufts University professor Michael Downing, told National Geographic. "The farmers were the only organized lobby against daylight saving in the history of the country." The reason, Downing explains, is that DST left them with less sunlight to get crops to market. DST affects dairy farmers the most, since cows' bodies and the milk they're tasked with producing are affected by the time changes. "God, I love getting up an hour earlier," said no one ever. "Me too. I can't wait to have my schedule messed up in the fall," no one replied. A 2011 Rasmussen poll (for what it's worth, Rasmussen can be a bit skewed when it comes to conservative politicians but seems to have no known bias against time zones) found that 47 percent (ha, Romney, ha) of Americans said DST was not worth the hassle. So how do we fix all of this? The real evil here is change. No one really minds if 4 a.m. is 4 a.m. They (and their possible heart attacks) mind if for some reason or another that 4 a.m. is now 5 a.m and will be 4 a.m. in a few months. It's time to stop this insanity. To tell you representatives in Congress [Senate and House] you want to stop this insane practice complete the form attached to this post and either fax, electronically mail, or send the request form to your representatives via first class mail that will let the representative know you want a change made to this outdated irrational Law. Hearing impaired individuals should request this service from your state and local government agencies to that you know what is going on at those government agencies' meetings. This is the form our membership uses when planning to attend the agency meeting. Fill it out and send it along to the agency 3 days in advance of the agency's meting. Mouse over the form below, click on it to download the form. Print it, and fill it in. Send it to the person and agency by fax, email-scan, or first class mail. The Unalienable Rights Foundation recommends that you hand deliver it to the agency if at all possible. How to get notices of government meetings in Virginia!!! 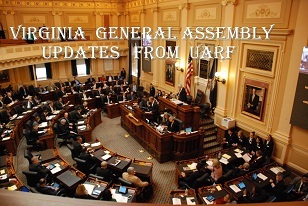 Keep up to date with what Virginia & Local Government meetings that are being called, by whom, and the topics. Fill out this form and forward it to the agency. Mouse over the form below, click on it to download the form. Print it, and fill it in. Send it to the person and agency by fax, email-scan, or first class mail. The Unalienable Rights Foundation recommends that you hand deliver it to the agency if at all possible. The session is almost over. Only two of the bills we are following are still being worked on: HB 2024 (“Quick Take” Condemnation Proceedings), and HB 1566 (Supervising Regulatory Boards). Both bills are in conference committee today. We have been informed that HB 2024 is on the right track to be appropriately strengthened against the misuse of “quick take” proceedings, which was previously strengthened in the Senate from a 15-day to a 30-day notification window. This may be even further strengthened in conference committee. We are keeping an eye out. HB 1566 is also in committee to discuss amendment #5 which the House rejected and the Senate has insisted upon. The amendment states, “That the provisions of this act shall not become effective unless an appropriation effectuating the purposes of this act is included in a general appropriation act passed in 2017 by the General Assembly that becomes law.” Given that the session ends on Sunday, this amendment will likely kill this bill. We ask that you contact the committee members listed below NOW, and ask that they REJECT HB 1566 Amendment #5. Please support this important regulatory reform. Tell us about the horrors you faced in family court. Tell us about the problems you had with property settlement, child support, alimony and custody issues as it related to your separation or divorce. A fit parent''s right to his children and a person''s right to private property are two of the oldest-recognized natural or unalienable rights. These rights protect individuals from government intrusion in their most intimate relationships (parent-child) and possessions (home). They preserve the sanctity of the family and the home. Unfortunately, the American family and the American home are both under government assault. 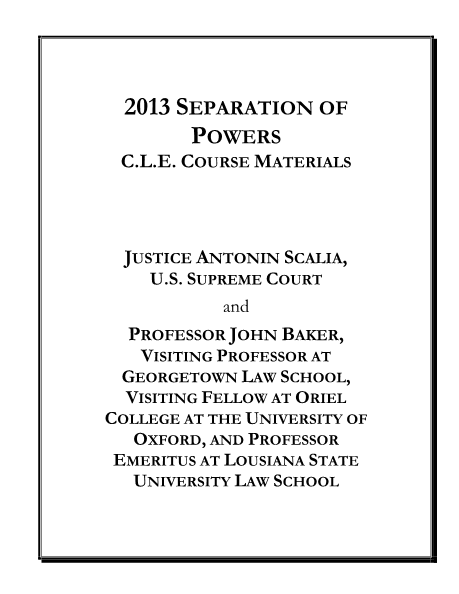 When the United States Supreme Court announced its Kelo decision just a few years ago, the public suddenly realized government has almost unbridled power to take their homes. The public did not realize government has even greater power to take their children. Because the United States Supreme Court (or any federal court) rarely hears family law cases, these cases get very little public or national attention, such as the Kelo case received. With very little public scrutiny, family courts have slowly chipped away at parental rights to the point where these once-sacred rights are now nothing more than a mere government-privilege. Parents often see their children only as much as a judge will permit and make child-rearing decisions only to the extent a judge allows. The Fifth and Fourteenth Amendments of the United States Constitution undoubtedly protect the rights to life, liberty, and property, including parental rights. While all courts admit the Fourteenth Amendment protects parental rights, they typically follow this admission by dismantling or ignoring this right. Each parent has equal rights to their child, yet courts routinely reduce one parent to a mere visitor in their child''s life. Courts are now the largest cause of fatherlessness (and sometimes motherlessness) in America. As it now stands, a parent''s right to his or her children (supposed "fundamental" or natural rights) are subject to the whim of the child''s other parent and the unfettered discretion of a single judge. If one spouse chooses to exit the marriage, a judge then decides how much time each parent may see the child. Instead of recognizing the equal rights of each parent, judges generally issue lopsided custody orders which allow the child to see one parent for only 20%-30% of the child''s life. The typical every other weekend scenario removes the non-custodial parent from their child''s life for nearly 80% of the child''s life--all in the "best interests of the child." Unbeknownst to many, the state has great incentive to separate a parent and child. Under Title IV(D) of the Social Security Act, the state receives federal money based on the creation of a non-custodial parent and the number of child support dollars that flow through the state''s courts. The longer the state keeps the child from one parent, the more child support the non-custodial parent must pay and thus the more federal money the state gets. This situation is not only perverse and immoral but also unconstitutional. Two, fit parents have equal rights to their children. Most importantly, children have a fundamental right to a meaningful relationship with each parent. Yet, family courts have converted children into a mere creature of the state which now decides the relationship the child may have with each parent, despite the fact that both parents may be fit and pose no threat of harm to the child. 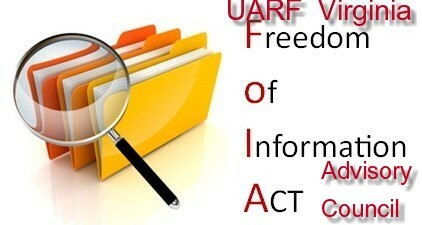 If you have experienced the horrors of family court, please contact us at general.counsel@uarf.us . We are compiling data for research purposes and are looking into taking action to stop the family court''s impermissible intrusion into the American family, as well as the family courts'' destruction of the United States Constitution. If a public official misuses his position to demand campaign contributions, the Foundation will find creative ways to seek civil remedies. If a witness is threatened or punished because he/she reported official misconduct, the Foundation will fight back on behalf of the witness. 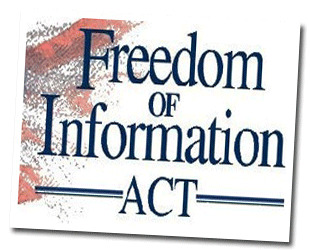 If a government agency withholds information to which the public is entitled, the Foundation will help enforce legal rules regarding disclosure. If a group libels an honest public servant, the Foundation will help the victim defend his reputation. The Foundation will seize opportunities like these, bringing high-impact public exposures of evil doers. The majority of our reports and stories will focus on real people and their stories about the lack of government integrity. Not only do these people need and deserve our support, their stories can serve as powerful tools to seize public attention and move public opinion. The Foundation will work with the press, government investigators, and other public interest groups to make sure that these peoples'' stories are heard. In the process, Foundation will build a non-partisan investigative alliance that transcends specific issues. Our aim is to encourage officials to be open about their values and to act based upon their honest and best assessment of the public interest. As we do this, over time Foundation will develop a network of public interest groups, sympathetic government investigators and media contacts ... a far-reaching, more mainstream version of the conservative league of individuals that has been so effective. We will work with that network to focus public attention on government integrity and to educate the public about dishonest or disingenuous government officials. If history is any indication, this type of network can have a substantial impact on public opinion.